"No pain, no gain" is definitely something that continued to resonate loudly in my mind on our journey to the Far East. 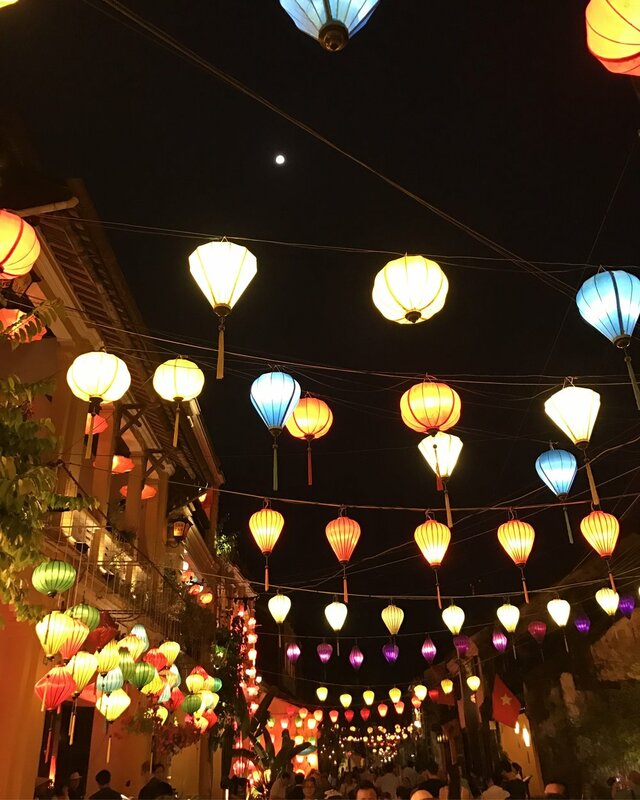 It took 3 flights, numerous delays and even a 24 hour unexpected layover in Hong Kong. Throw a 13 hour time change on top of all that and you have a few meltdowns along the way for sure. But alas, the clouds parted and the sun shone again and my what a beautiful Vietnamese sun it was. 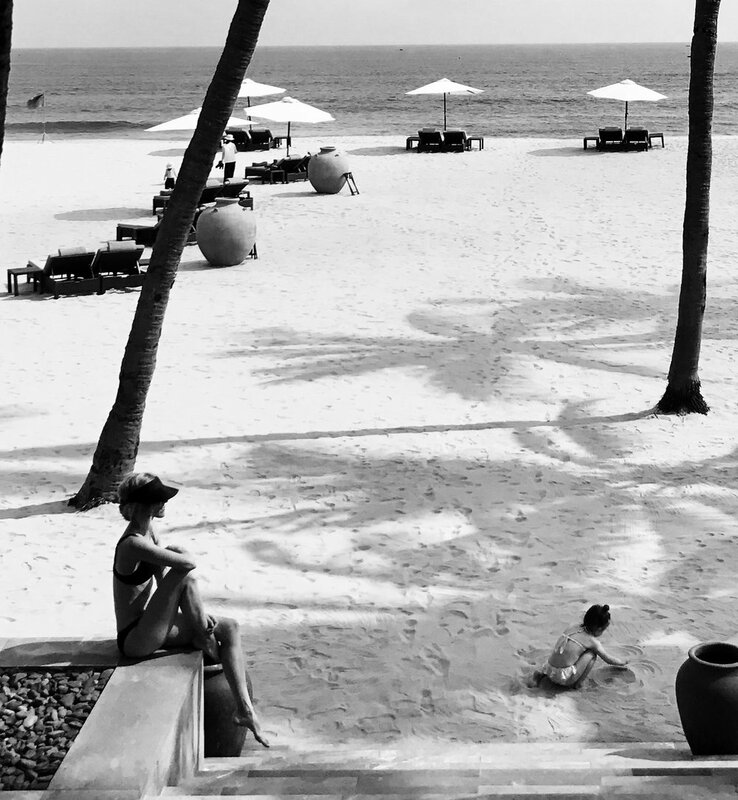 We stayed at the Four Season's Nam Hai and it was so incredibly serene and relaxing (had I not had a 3 year old chirping in my ear I would have probably been asleep all day). 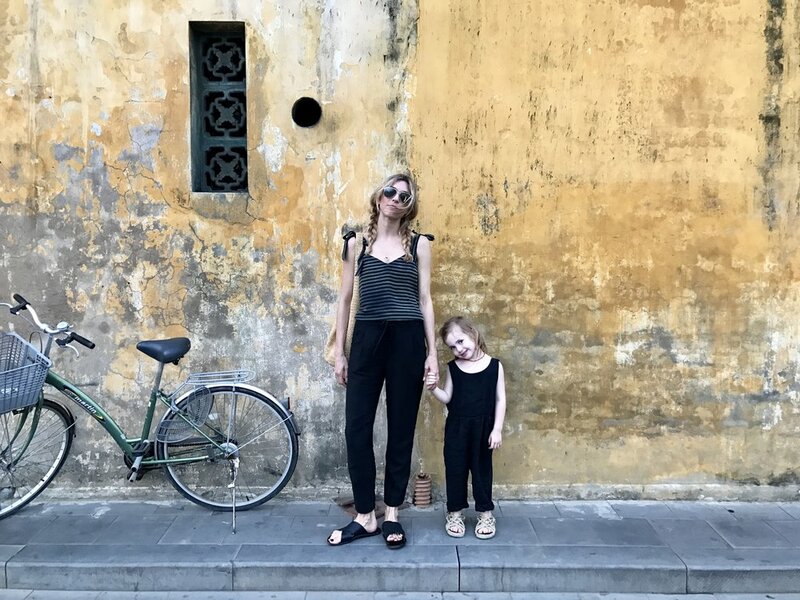 The Vietnamese people are so kind and accommodating (especially if you have small children) that it made even the worst jet lag seem better. 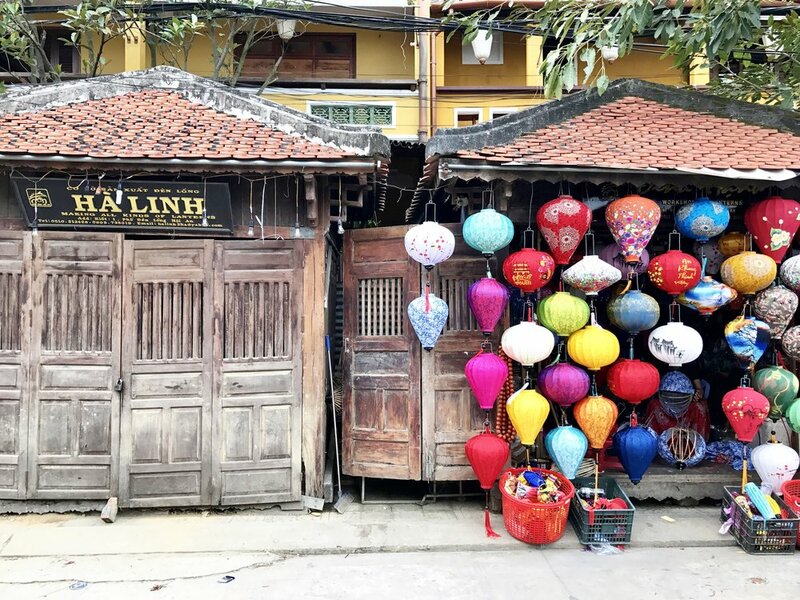 We took daily trips into Hoi An, a UNESCO World Heritage Site, where we drank the most amazing Vietnamese coffee (best jet lag cure) and ate spring rolls. They have tailors everywhere so come prepared with your favorite pieces of clothing to be made in every color. Be prepared to sit back, relax and drink coffee until your hearts content. 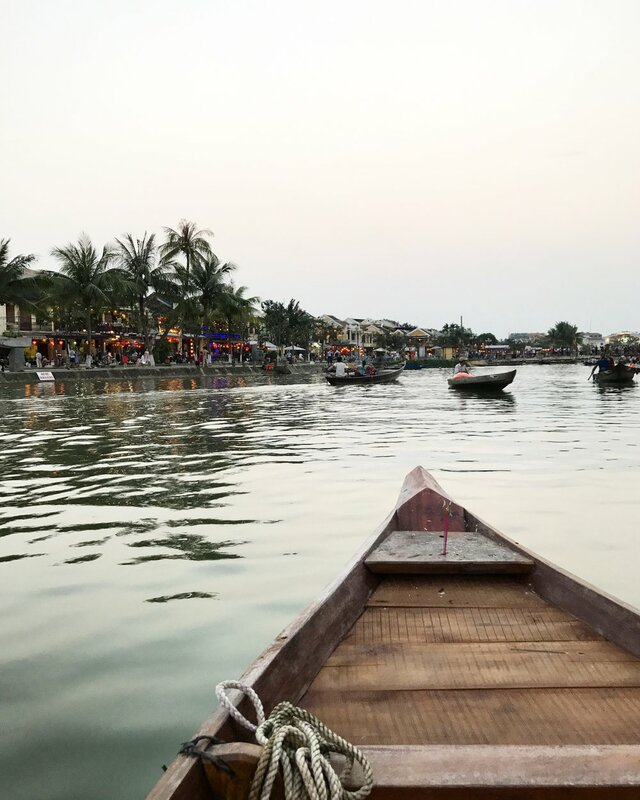 Part 2 of our Vietnam adventures coming soon.... to a blog near you. 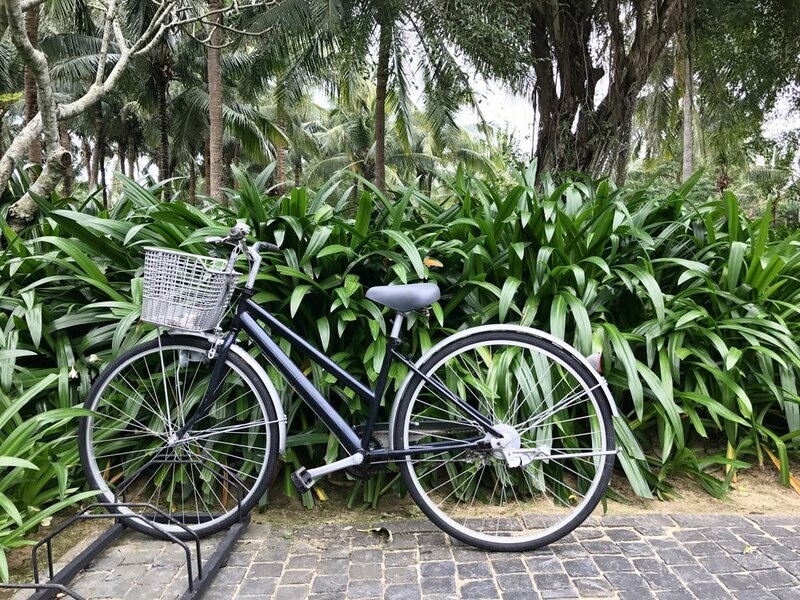 Eat - Morning Glory, Cocobox (for juice and smoothies), cafe Nam Hai (for Indian food) and have coffee literally anywhere.